DIWUER Video LED Mini Movie Projector has 1800 lumens LED light utilization efficiency that is approx. 30-percent brighter than ordinary video projectors. Of course, it is able to deliver the best quality picture in any projection environment. 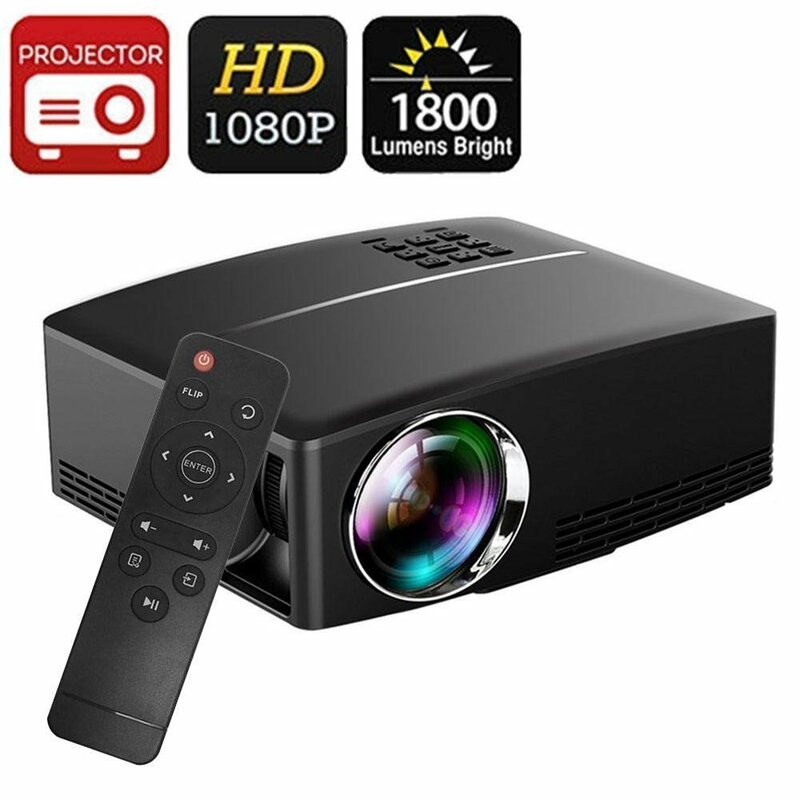 This Diwuer video projector can be the best choice for indoor and outdoor entertainment whether you want to watch movies or football games. Further, it has adjustable picture size from 28 inches to 120 inches. The projection distance is from 3.93 to 18 feet, 800 X 480P native resolution, 2200:1 contrast ratio. With all these specifications, you will be able to enjoy clear and crisp images with mini video projector. On the other hand, it comes with too many connectivity option. So, you can easily connect with DVD players, Fire Stick, Roku Stick, gaming consoles, personal computer, laptops, TV box and many other devices. Also, it has an innovative cooling system and noise suppression capability to reduce fan noise approx. 20 percent. Please make sure that this DIWUER min LED projector is made for home theater movies and video games in dark environment. This easy-to-use video projector from Diwuer carries 12 month warranty and friendly customer service. Of course, you will experience easy operation using projector buttons or remote control. It can be a perfect mini projector for tourism, camping and outdoor parties.